In honor of March Madness, I’m guest posting over at Rebecca Belliston’s blog about using context to bridge the gap between readers and authors so that readers get the most out of our stories. Hope you can pop on over for a second to say Hi. I love Rebecca’s March Madness Writing series. She’s done it for the last 3 years and I’ve learned a lot from all the authors who participate. So go check it out before the timer runs out. I don’t want this ‘game’ to go into overtime! It’s spring break here…which is lovely. But I also found a great deal that gives your wallet a break as well. The Breathtaking Set (7 love and suspense novels) is only 99 cents starting today. Wow! 7 books for under a dollar. You can’t go wrong at that price. I’ve read 2 of these book by Checketts and Krey already, and they were pretty good. Here are the links to get this set while it’s on sale. And now I will end this commercial break to let you get back to enjoying spring. Talk to you later. I’m taking part in the book blast for The Fortune Cafe’s release this week. It’s the first book of its kind that I’ve read–a novel written in three parts by three different authors. How cool is that? 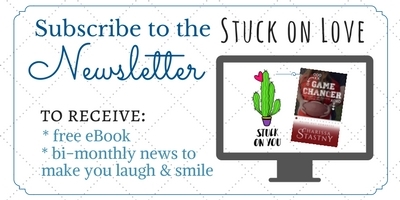 I just enrolled with Mail Chimp to send out future newsletters about the release of my books. It’s a pretty cool service for collecting and storing email contacts to send out author newsletters. I’m excited to try it out in a few months when my 3rd book is ready. One of the first steps I have to do is create an email list. The Chimp doesn’t want me to just load up every email I’ve ever seen or chanced upon and send my newsletter to all of them…The Chimp wants people to legitimately want my service. I have to verify that people clicked to receive newsletters from me (so don’t monkey around and click Yes when you don’t mean it). I’ve made a signup form on my web homepage and also below to encourage you to go a little APE and sign up to receive these little treasures. Don’t worry about me monkeying around and spamming you with frivolous dribble. I’m not a Chump, and besides, who has time for that? I give you my Chimp’s word of honor that I won’t send out more than 2-3 newsletters a year. Click HERE if you’d like to sign up and not have me go all APE on you. I can do a pretty good impression of a chimp, but now is not the time or place. But get me alone at a zoo near the Primate exhibit, and watch out, world. Today I’m excited to interview one of my favorite characters from Katie Teller’s Kiya series. 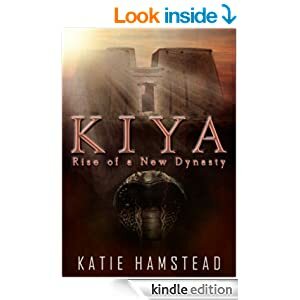 I’ve read both the 1st and 2nd books in this series set in ancient Egypt and have thoroughly loved them. The 3rd book’s out now. Yippee! If you haven’t read these yet, let me give you a synopsis.